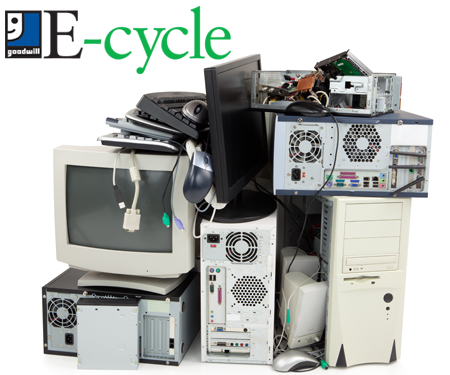 Electronic waste is a growing issue for many companies. With the rapid pace of technology, the life cycle of these electronic components is getting shorter and shorter, creating more e-waste than ever before. Brand protection is one of the biggest concerns organizations have when they partner with companies to dispose of e-waste. Businesses are also concerned about environment stewardship and making sure that their e-cycling partners support those efforts. That's where Goodwill E-cycle can help. Understanding these needs, we have a dedicated team that is here to help you formulate a responsible disposal plan for current and future e-waste. Goodwill has been recycling and repurposing since our inception over 100 years ago. By choosing Goodwill E-cycle to work on your e-cycling needs, you get the added benefit of supporting Goodwill's mission, which provides training and jobs to people in your community.